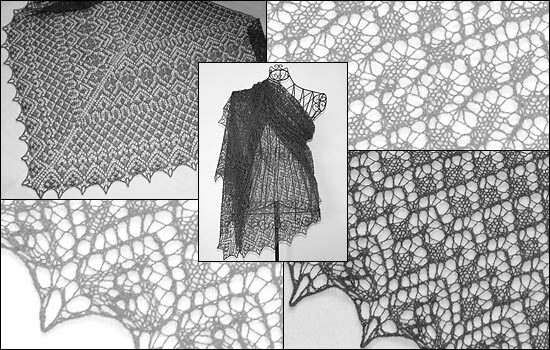 The triangular shawl *Morgaine* is worked from the middle of the neckline. Two triangles grow from the middle stitch outwards to form a bigger triangle. Two areas of a simple eyelet pattern are divided by a stripe of lace pattern and finished with a lace edging with small pattern repeats.